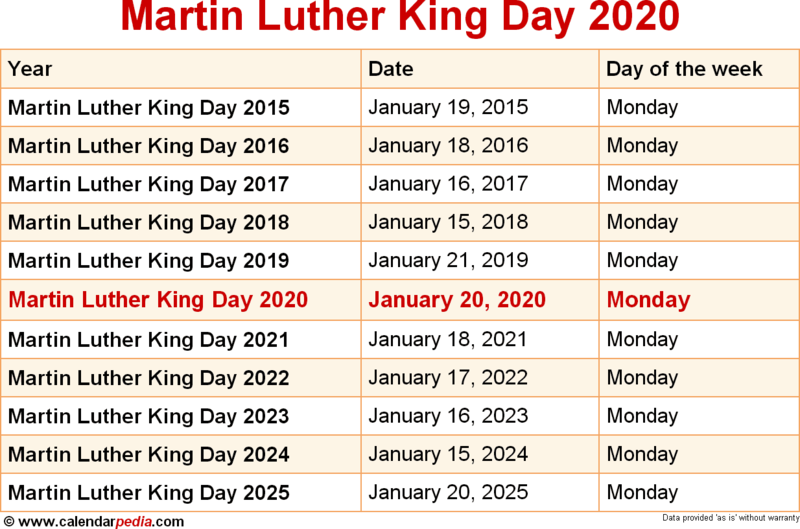 When is Martin Luther King Day 2020 & 2021? When is Martin Luther King Day 2020? Martin Luther King Day is a United States federal holiday. It is celebrated annually on the third Monday of January and is also known as King Day or MLK Day. In some states it is also commonly referred to as Civil Rights Day or Human Rights Day. In recent years it is increasingly seen to be a 'Day of Service' when Americans are encouraged to volunteer to help others less fortunate than themselves. Martin Luther King Day commemorates the birthday of American civil rights leader Reverend Dr. Martin Luther King, Jr., and celebrates his life, achievements and legacy. 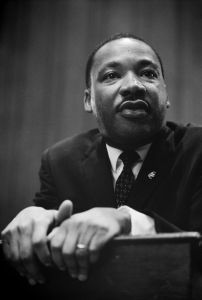 King was hugely influential in the American Civil Rights Movement (despite never holding public office) and was a major advocate of non-violent activism in the struggle for the end of racial discrimination under US law. He was assassinated in 1968. This federal holiday in King's honor was created in 1983, during the presidency of Ronald Reagan, and first observed in January 1986. It is sometimes also referred to as "Civil Rights Day" or "Human Rights Day". See also: 2020 calendar showing all US federal holidays. When is Martin Luther King Day 2021? The next occurrence of Martin Luther King Day is marked in red. Looking for calendars for 2020? We have a large variety of calendar templates for Word, Excel & PDF to download and print. See our list of all calendar templates.